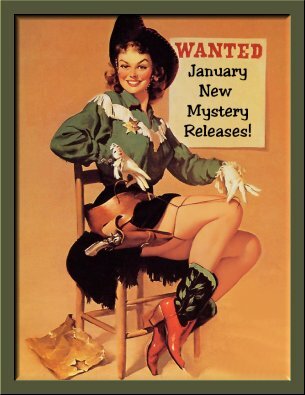 January 2012 New Mystery Releases! With Denis working nights, I was prepared to end a quiet evening with writing a couple of blog posts and going to bed to read. Normally there's just a bunch of hooting and hollering around midnight, and that's it. Not this year. The festivities began at 8 PM with a neighbor's sound system that had glasses rattling in the kitchen cupboards and the fillings in my teeth vibrating. By 2 AM, that sound system stopped and the next-door neighbors' new karaoke machine took over. By 4 AM they were reduced to inebriated giggles, and I could get some sleep after having not accomplished much besides hanging onto my sanity. Now that all's quiet (still) this afternoon, I get a chance to share with you the crime fiction I'm eagerly awaiting this month. The books are grouped by release dates, and I've included the information you'll need to find them at all your favorite book spots. Here's to a brand-new year of reading! Synopsis: "The ninth gripping murder mystery to feature Ursula Blanchard, special aide to Elizabeth I - November, 1569. Happily married to her third husband, Hugh Stannard, lady-in-waiting Ursula Blanchard is hoping to give up her undercover work for Queen Elizabeth l in order to enjoy domestic bliss. 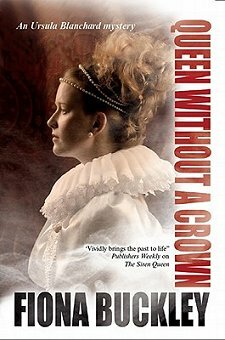 But when Hugh unwittingly endangers possession of his ancestral home, Ursula is forced to take on a seemingly hopeless – but handsomely paid – private assignment, which the Queen spots is the perfect cover for a covert investigation into a group of rebel barons plotting to put Mary, Queen of Scots on the English throne." Synopsis: "When a county employee is found shot to death in sun-drenched daylight while sitting in his county road grader, Undersheriff Bill Gastner is faced with puzzling questions. The simplest explanation--that an errant bullet from a careless target shooter's rifle blew out Larry Zipoli's brains--is soon discarded as inconsistencies surface. The fatal bullet shows no rifling marks, and investigation reveals that the shooter walked directly toward the road grader, in full view of the victim--who did nothing to defend himself. In addition to the demands of the investigation, Gastner learns that Sheriff Eduardo Salcido has hired a new deputy without discussing the matter with his undersheriff. And Gastner learns that the new hire is destined to be the first female road patrol deputy in the history of Posadas County. Thus begins Gastner's relationship with Estelle Reyes, whose shrewd observations shed important light on a crime that rattles all kinds of skeletons lurking in Posadas County closets." Synopsis: "In Ohio, seventeen-year-old John Meyer Frey rots on Death Row for the brutal murder of his girlfriend. The victim's father hungers for revenge, while a prison guard is torn by compassion for the young man. When Frey unexpectedly dies of heart disease before he either receives his just punishment or achieves redemption, the wheels of justice grind to a halt. Six years later, on a ferry between Finland and Sweden, a singer named John Schwarz viciously attacks a drunken lout harassing a woman, leaving the man in a coma. 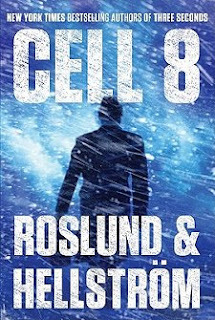 The Stockholm police arrest Schwarz for aggravated assault, but when Grens learns that the assailant has been living in Sweden under a false identity, he begins to suspect that something darker and more complex underlies the incident. Following his intuition, Grens launches an investigation that spans from Sweden to the United States and reveals a startling connection between the Frey and Schwarz cases. Featuring a multi-layered plot with a killer twist, Cell 8 takes readers on a gripping, page-turning journey that explores the devastating repercussions of the death penalty as well as the fallout from the conflicting desires for public justice and private retribution." Synopsis: "Elly Griffiths’s Ruth Galloway novels have been praised as “highly atmospheric” (New York Times Book Review), “remarkable” (Richmond Times-Dispatch), and “gripping” (Louise Penny). Now the beloved forensic archeologist returns, called in to investigate when human bones surface on a remote Norfolk beach. Just back from maternity leave, Ruth is finding it hard to juggle motherhood and work. The presence of DCI Harry Nelson—the married father of her daughter, Kate—does not help. The bones turn out to be about seventy years old, which leads Nelson and Ruth to the war years, a desperate time on this stretch of coastland. Home Guard veteran Archie Whitcliffe reveals the existence of a secret that the old soldiers have vowed to protect with their lives. But then Archie is killed and a German journalist arrives, asking questions about Operation Lucifer, a plan to stop a German invasion, and a possible British war crime. What was Operation Lucifer? And who is prepared to kill to keep its secret?" 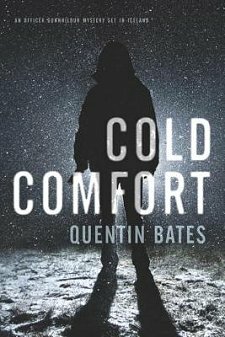 Series: #2 in the Police Sergeant Gunna Gisladottir series set in Iceland. Synopsis: "Officer Gunnhildur, recently promoted from her post in rural Iceland to Reykjavík’s Serious Crime Unit, is tasked with hunting down escaped convict Long Ommi, who has embarked on a spree of violent score-settling in and around the city. Meanwhile, she’s also investigating the murder of a fitness guru in her own city-center apartment. As Gunna delves into the cases, she unearths some unwelcome secrets and influential friends shared by both guru and convict. Set in an Iceland plagued by an ongoing financial crisis, Gunna has to take stock of the whirlwind changes that have swept through the country—and the fact that at the highest levels of power, the system’s endemic corruption still leads, inevitably, to murder." Synopsis: "In a small town on the southern coast of Ireland, an isolated place only frequented by fishermen and the occasional group of bird-watchers, Fred and Elly Bulkington, newly arrived from Vermont having won a pub in a contest, encounter a wild, strange land shaped by the pounding storms of the North Atlantic, as well as the native resistance to strangers. 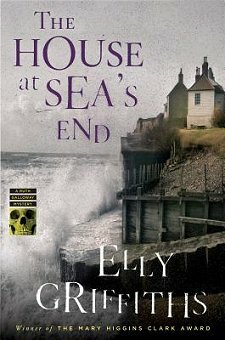 As Fred revels in the life of a new pub owner, Elly takes the ferry out to a nearby island where anyone not born there is called a “blow-in.” To the disbelief of the locals, Elly devotes herself to open-water swimming, pushing herself to the limit and crossing unseen boundaries that drive her into the heart of the island’s troubles—the mysterious tragedy that shrouds its inhabitants and the dangerous feud between an enigmatic farmer and a powerful clan that has no use for outsiders. 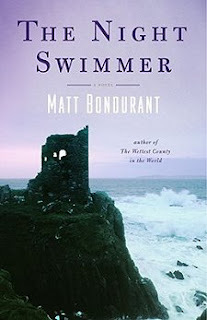 The poignant unraveling of a marriage, the fierce beauty of the natural world, the mysterious power of Irish lore, and the gripping story of strangers in a strange land rife with intrigue and violence—The Night Swimmer is a novel of myriad enchantments by a writer of extraordinary talent." Series: #17 in the Anna Pigeon series set in and around Lake Powell, Arizona. 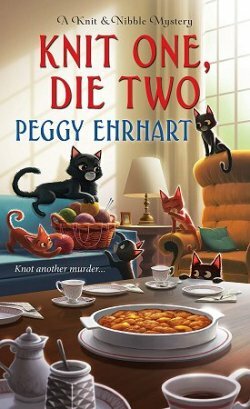 Synopsis: "Anna Pigeon's first case—this is the story her fans have been clamoring for...this is where it all starts. In The Rope, the latest in Nevada Barr’s bestselling novels featuring Anna Pigeon, Nevada Barr gathers together the many strings of Anna’s past and finally reveals the story that her many fans have been long asking for. 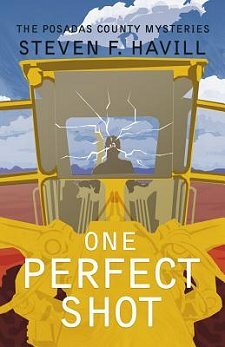 In 1995 and 35 years old, fresh off the bus from New York City and nursing a broken heart, Anna Pigeon takes a decidedly unglamorous job as a seasonal employee of the Glen Canyon National Recreational Area. On her day off, Anna goes hiking into the park never to return. Her co-workers think she’s simply moved on—her cabin is cleaned out and her things gone. But Anna herself wakes up, trapped at the bottom of a dry natural well, naked, without supplies and no clear memory of how she found herself in this situation. For those legions of readers who have been entranced over the years by Park Ranger Anna Pigeon’s strength and determination and those who are new to Nevada Barr’s captivating, compelling novels, this is where it all starts." Hopefully you're as eager to get your hands on some of these books as I am! Happy New Year, Cathy! Sorry about your "eventful" night. I was woken out of a sound sleep last night to popping of fireworks. It was frustrating because I've had a horrible respiratory thing for about 10 days and I was sleeping so very well, finally. Grrr. I can vouch for THE HOUSE AT SEA'S END. Already read it. It's good. Looking forward to book #4, which I have on order from Book Depository. I love this series. Hey, we're going to be in the Phoenix area from Feb. 4-11. I'm going to Deborah Crombie's event at Lesa's library. Could you come you think? Or we could do another meetup at PP, with lunch or something included. Let me know. 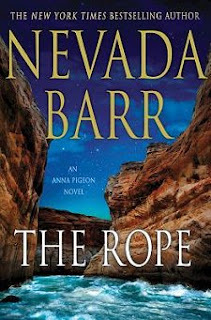 Am happy to hear there's a new Nevada Barr book coming, I nearly pre-ordered it but will wait to see if Audible release a version, I've listened to several narrated by Barbara Rosenblat and she does a great job. Kay-- Get better soon! I normally go to bed at 3 AM, so it's not like I was missing hours and hours of sleep, but the noise! We'll be back from our usual trip to Bisbee by then. I'll email you about it soon! Bernadette-- I just finished The Rope. Good, good, good! I wish a copy of A Room Full of Bones would land on my doorstep! Wow, sounds like party time in the desert. It was quiet here in cold suburban Chicagoland. 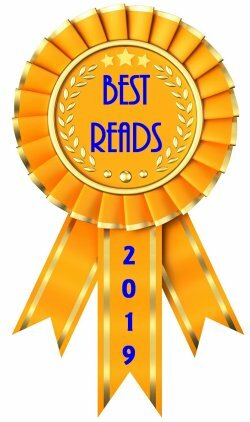 I read Three Seconds which is the fifth book in the Grens & Sundkvist series. Now I see Cell Eight is out. It would be nice if they would make the first book available. As much as I enjoyed the story I felt I was missing a lot of the previous character development. Dorte-- I am becoming rather predictable, aren't I? Leslie-- I do not understand why these publishers won't publish series books in order! Sorry those neighbors bugged you yet again. I guess that's a good thing about living where it's too cold to be doing much partying outside or with the windows open. 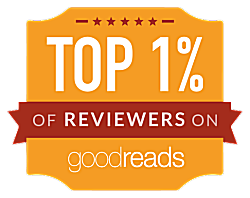 I read and reviewed The Rope. I think it's one of Barr's best novels yet. Barbara-- My fillings have stopped vibrating, so I'm okay. I've also read The Rope. My review will be up the day of publication. It's a good'un! "I can vouch for THE HOUSE AT SEA'S END. Already read it. It's good. 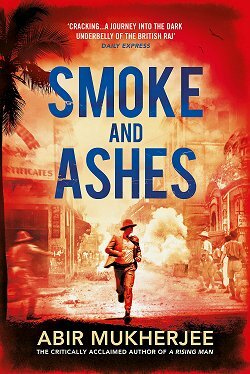 Looking forward to book #4, which I have on order from Book Depository." Hey, me too. Well actually I have them both on the way from the Book Depository. Love that free, world wide shipping! Caite-- Amazon is in the process of buying The Book Depository, and I'm hoping that's one of the things Amazon will not change!